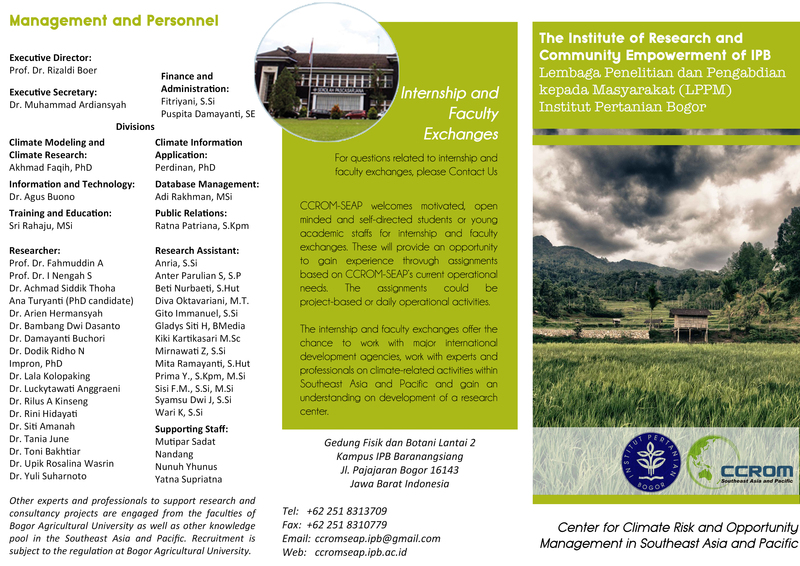 As a part of TA ADB 7189Awareness Raising and Communication activity implemented by CCROM SEAP in collaboration with Ministry of Environment and Forestry Indonesia (KLHK), Regional Environmental Agency of West Java Province (BPLHD Jawa Barat), several printed medias were designed to communicate the climate change issues targeted to the broader audiences reaching those who living in outreach areas. 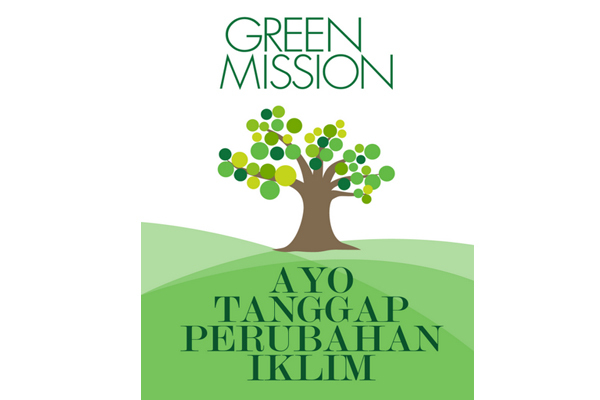 Leaflet “Ayo TanggapPerubahanIklim” was produced with the aims on encouraging people to take action concerning climate change and more detail information about the issue of climate changes related to IWRM CRB. Leaflet can be downloaded here. 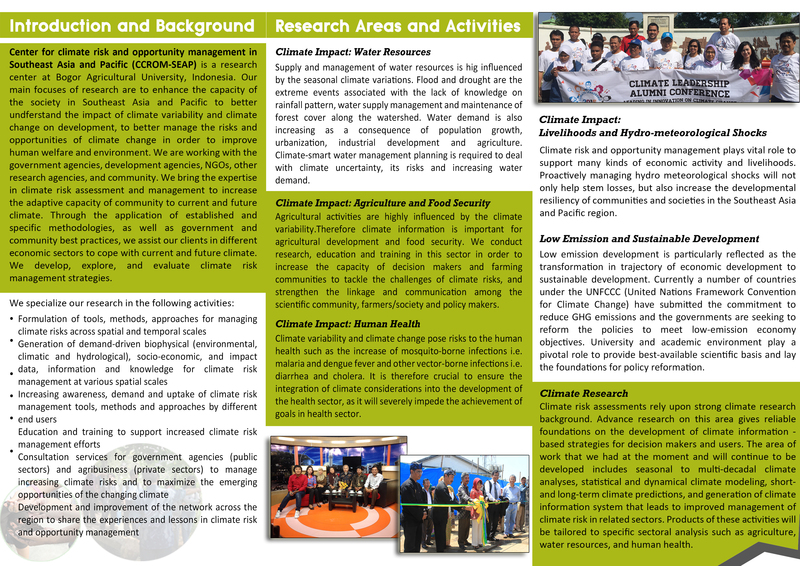 As a part of activities, posters to promote agroforestry, biogas and rain harvesting were also produced to increase community knowledge and awareness to climate change related issues. Agroforestry can be seen as a strategy to improve CRB and at the same time have function environmental services and as a source of income for the farmers from the wood and the cash crops planted by the farmers. Information about biogas is also important for the rural community that runs dairy farm business as it can reduce water pollution, since more cattle manure can be sent to biogas plant. And the rain harvesting poster was producedto promote and encourage more community groups to adopt water stocking for several purposes. The three posters can be downloaded here (Poster Agroforestry, Poster Biogas, Poster Rain Harvesting).